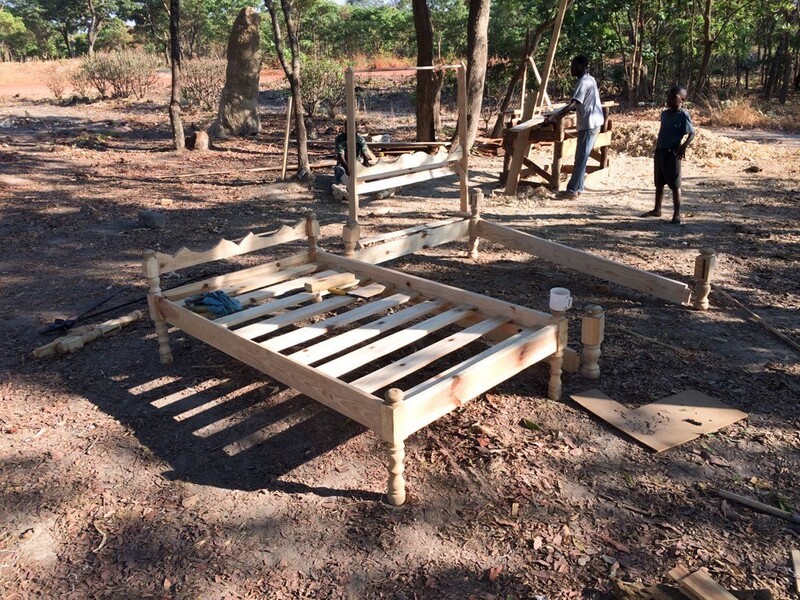 What began in October of 2015 with three Canadians arriving in Zambia has been completed and is now in full use. 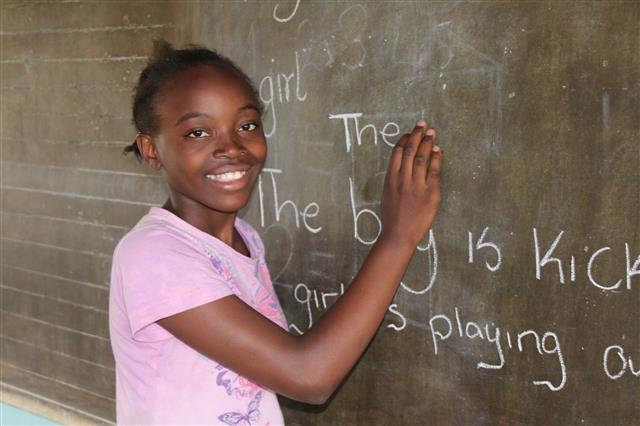 The generous support of Canadian donors has enabled Faith’s Orphans Fund to build a school at the Lungwa Centre where the children there can now receive the education to change their futures and impact their community. 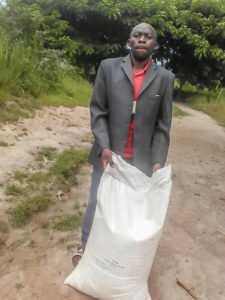 The nearest school for the children of Lungwa had been more than 16 km away, too far for children to walk at anytime let alone during the rainy season when paths and the road would be awash. Education previously consisted of brief lessons by non-teachers in a tiny hut. 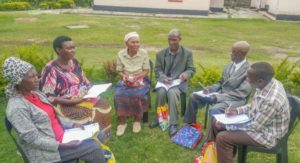 The construction plans for Lungwa consisted of a school building with three large classrooms and supply storage room, a small four-room building to house the teachers, two separate latrines for the students plus all the required desks and chairs. Before construction of the school could begin however, a well had to be drilled to provide the water to mix with cement to make concrete. 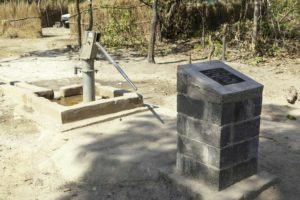 The well that provided the water required for construction also gave the entire community a sustained source for safe clean water and it has become the central meeting place for the community. 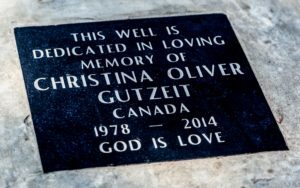 The well was made possible by a generous group of people in memory of a special teenager from Frankford Ontario and a plaque embedded in a concrete memorial now stands by the well as a permanent tribute. The work on the school was carried out in three phases with the assistance of four students from our Skills Training Centre and the entire Lungwa community, including the children who contributed by carrying materials like heavy concrete blocks to the building site. Before the school was finished and before the desks and chairs arrived, the children were being taught in the classrooms…and today, 176 children attend the classes held in this new school. Thank you for your continued support of Faith’s Orphans Fund. Together we are making a difference in the lives of these children and giving them a brighter tomorrow. One of the significant elements in the development of our high school students is the opportunity to attend Teen Missions, a 4-week long leadership-training program that is often referred to as ‘Boot Camp’. The most recent ‘Boot Camp’ ran from December 4, 2017 to January 6, 2018 and FOF had 70 students attending. Additionally, we had 10, mostly Grade 12 students who had attended a previous Boot Camp, start one week earlier than the others. These 10 were chosen to be leaders during the following weeks of the ‘Boot Camp’. This additional training is especially valued as these teens are often selected to be head boys and girls by the headmasters of the schools they attend . After the first two weeks of learning in a classroom about bricklaying, cement work, farming practises, tree planting, and managing their time, they were divided into groups of 30 to apply their new knowledge in a ‘hands on’ setting. Acquiring these basic skills is incredibly useful for securing the future success of our students. Important as these skills will be however, the ultimate goal of Teen Missions is to re-establish or ensure our students are firmly grounded in their faith as a Christian. For some teens, Teen Missions has been a life changing experience as they make a decision to follow Jesus and to live their life honouring Him. Faith Liyena has provided the following testimonies from some of our students that attended this recent ‘boot camp’. Edina Kasunga says that her journey was filled with what many people would consider an amazing coincidence, but for her, she says, it was by God’s grace. Raised by non-Christian parents, she did not know the love of God. She lived in “wretchedness and lawlessness of life,” without any real standard of behavior in her because she was living without God’s word. She gave her life to the Lord after hearing the Gospel at Teen Mission and has since applied to train as a missionary at Teen Missions this year. 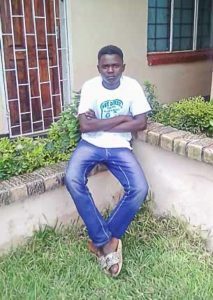 Martin Muthali says, “it was at FOF Kabulankashi center where, I learnt about Teen Missions in Ndola.” I was told about the “Christian activities that help someone to grow in the things of the Lord.” Encouraged by friends that had been there and by their good behavior in the community and in school, he asked to attend and was among those who were picked to go to the boot camp. “I was not yet saved but I used to go to church.” At the Teen Missions camp, I received Jesus Christ as my Lord and personal savour and I am now living for the Lord. 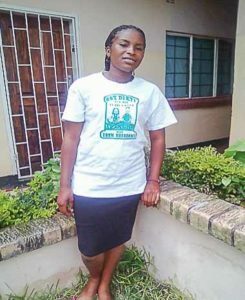 Faith Liyena, the Director at FOF in Zambia, has also reported that it is a joy to see so many children give their lives to the Lord. “These children are the little lights in the families, communities and schools. It is exciting to see them back home, more mature in the things of God…” and helping to build their community with their newly learned skills. These students have also had training in leadership and one of the activities they engage in back in their community is sharing what they learned with the younger students. The community benefits by one of their own attending Teen Mission. Thank you to all our Supporters for generously providing the means for this years group of teens to have the Teens Missions experience! It is hard for our vulnerable children to focus on learning in school when their tummies are grumbling from a lack of food. 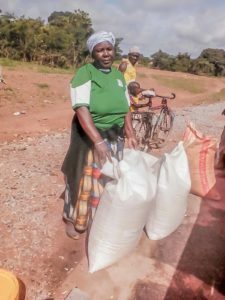 This is why we invite the supporters of Faith’s Orphans Fund to contribute to the annual ‘Seed and Fertilizer Packs’ project. 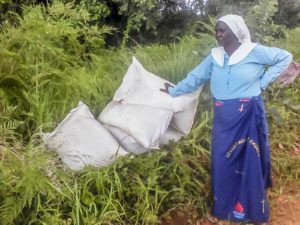 In October, for the past several years, the Zambian Government has made available these ‘Seed and Fertilizer Packs’ for purchase at approximately one-third of the normal price. A ‘Pack’ consists of four bags of fertilizer and one bag of seed. 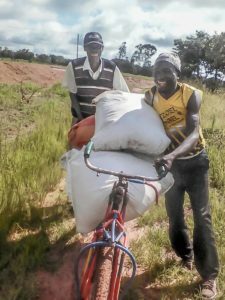 Maize (corn), okra, rapeseed, onion and cabbage have been the customary seed made available but that does vary from year to year. In the months leading up to October, the people in our twenty-four Centres will have been busy preparing their fields for planting. This has to be completed by November when the rainy season sets in for the next several months. What is grown during that time will be their food supply until the next growing season and therefore will have a direct bearing on the nutritional intake of our children. This is why our ability to purchase ‘Packs’ for all our Centres is a project we focus on each year. Each bag can weigh up to 50 kg or 110 lbs! The photos included here are the evidence why the Board of Directors of FOF Canada once again express our grateful thanks for supporting our 4113 vulnerable children and the Centres where they live. 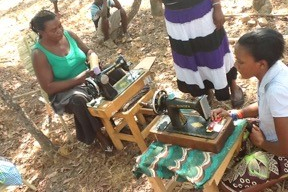 FOF Canada recently received funds from the Community Christian Reformed Church in Frankford Ontario with which to purchase two hammer mills. The hammer mills are being placed at a special location on the Solwezi Road and the Lufwanyama Road. This will allow maize and cassava to be ground into a flour-like consistency. It is hoped that some of the flour can be sold and thereby expand their dietary intake or purchase other needed items. One of the vital components for the successful support of FOF’s vulnerable children are the Implementers. These men and women act as FOF program coordinators and leaders in the care, provision, and oversight of each child at their Centre. Once or twice each year, a week-long training course is provided by FOF so that these Implementers and the Centres they represent can benefit from learning of new agricultural techniques, government programs, nutrition and health opportunities as well as providing us with updates of the status of the children at their Centre. 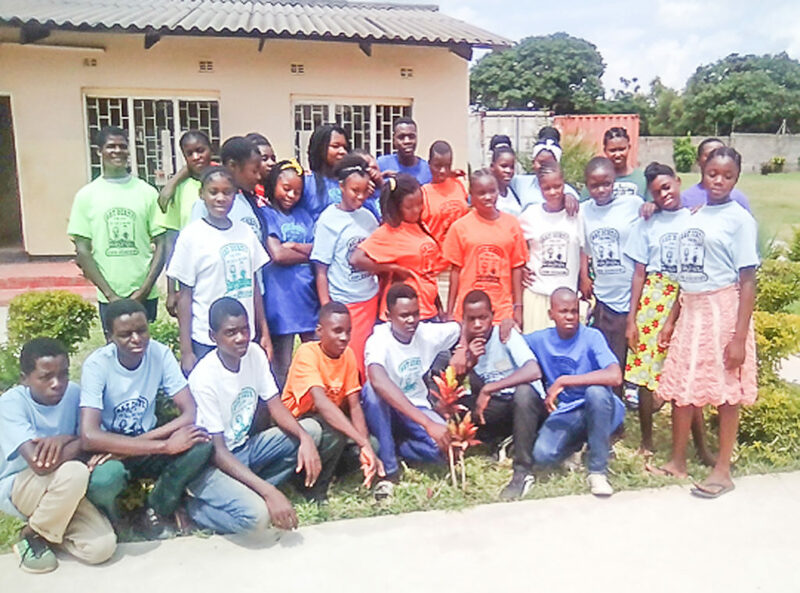 For the week-long training, about 100 Implementers will arrive at the Skills Training Centre (STC) in Kitwe, where they will sleep, eat and learn before returning to their Centres with their newly gained knowledge. As the implementers are spread out over many miles and rarely have a chance to meet, the week together at the STC is also an opportunity to get acquainted, share ideas, and discuss the issues they face as well as encourage one another as part of the greater FOF Team. The theme for this week’s seminar was “Developing our Communities through Agriculture.” In addition to presenting gardening techniques, crop varieties, chicken and goat care, the maintenance of the trees that were planted one year ago and the new trees that were just recently planted in December was highlighted. New policies which the Government has introduced along with explanations of Government expectations were discussed. The continued care of the children is a focal point during the week as Faith discusses the health, nutrition and educational needs and responds to the issues Implementers may have. 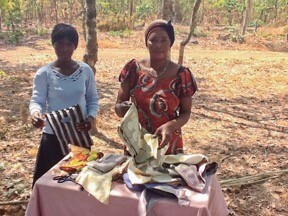 She spends time with each implementer to encourage them in their work on behalf of the children of FOF. It is also at this time when the implementer’s present reports to Faith on behalf of their centre. These reports update the database for each child in their centre and, together with Faith, the prospective students who will study at the STC in the coming year are chosen. In your prayer time for the FOF children and staff, please remember our Implementers who engage the children on a daily basis. These men and women are volunteers, receiving no pay for looking after the orphans in their centres as they have a genuine love and concern for their welfare. A core component of each day for all Implementers at the Training Seminar is the Bible teaching and training. 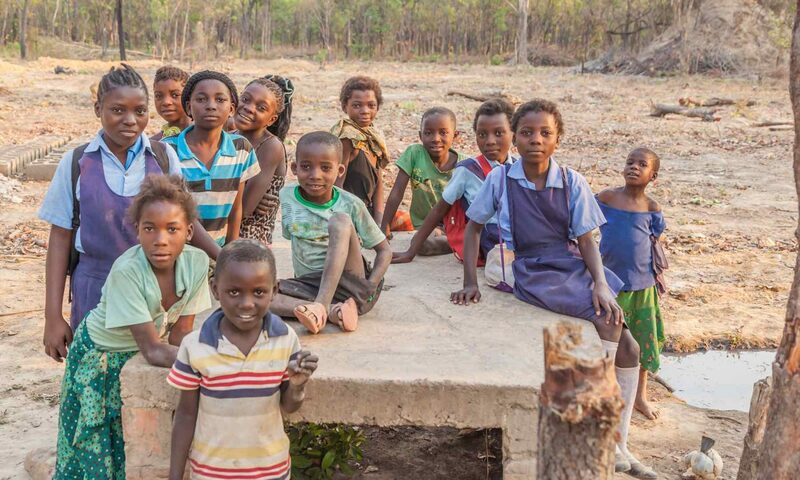 FOF is a practical demonstration of Our Lord’s love, faithfulness, and provision to His children and a witness to those here in Zambia that hears of the work and impact of FOF on the lives of the vulnerable children. Please continue to pray for the children, the Centres and also for the leadership of FOF, we need His hand to guide us for another 25 years and more! We hope this report gives you an idea of the content and importance of the week-long Implementer Training Seminar. Thank you so much for the generous support of Faith’s orphan ministry in Zambia throughout 2017. 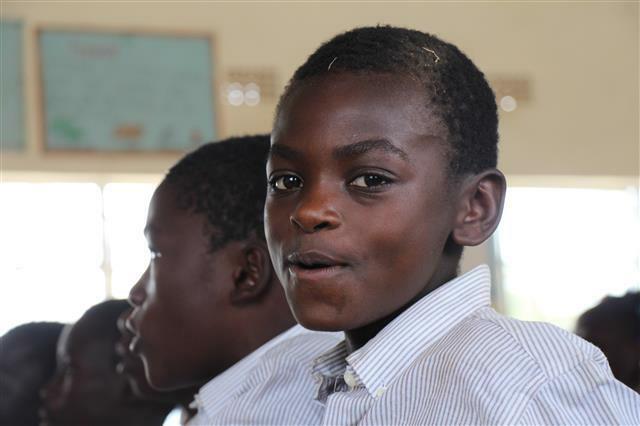 The support from people like you in Canada and United States has resulted in another year of significant positive impact in the lives of 4,113 orphaned and vulnerable children in Zambia. 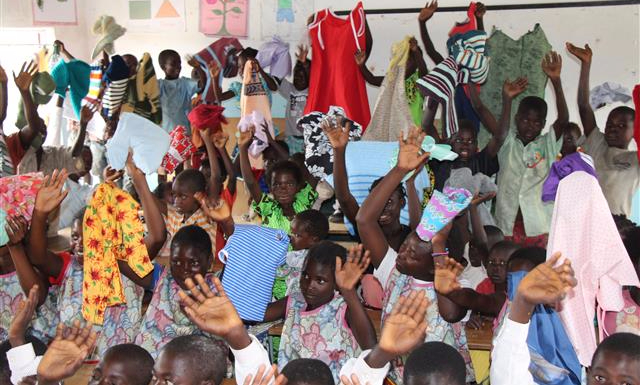 This was a milestone year for Faith’s Orphans as their 25th anniversary was celebrated in August. It was an incredible blessing to witness the anniversary celebration with hundreds in attendance and realize afresh how FOF has touched literally thousands of Zambian lives. This fall the new school at Lungwa Centre was commissioned and is now being used by hundreds of young students who previously would have had to walk 16 kilometers to attend a school. This school was built with the generous support of a number of Ontario donors and volunteers. As we look forward into 2018, we know that Faith’s Orphans Fund will continue to be significant for the children in the 24 rural centres, the Skills Training Centre and those attending Teacher’s College in Kitwe. The Canadian FOF Board is pleased to announce the launch of a new FOF Canada website containing new pictures, video, and information. This new website can be viewed at the new web address: faithsorphansfund.org. From Faith, her Zambia team and the Board of Directors of FOF Canada, thank you again for your generous support in 2017. Ian Ross & the Canadian Board of Directors. With the recent change to day light savings time, the arrival of sub-zero temperatures and snow in the air, we are keenly aware that winter is well on its way and with it, the Christmas season. 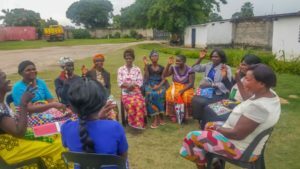 2017 has been a milestone year for Faith’s Orphans Fund as Faith and her team celebrated 25 years of orphan ministry in Zambia and the Canadian friends of Faith celebrated 15 years of financial and prayer support as well as volunteerism. I know I speak for all of the Canadians that travelled to Zambia this summer to participate in the 25th anniversary when I say just how blessed we were to witness the significance of the impact that FOF has had and is having in the lives of the orphaned and vulnerable children of Zambia. From Faith and her team as well as the Canadian FOF board of directors, we want to say “thank you” for all you have done to allow this ministry to flourish and give so many young Zambian individuals a chance – a chance to acquire an education, to break out of the cycle of poverty and disease, to gain employment and to know the Lord as their personal Saviour. 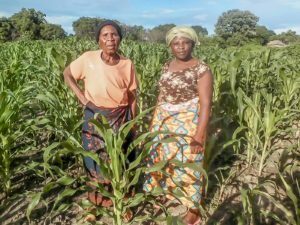 Updates of the work taking place at FOF in Zambia can be viewed on this website under the posting ‘Video Updates’ and will provide further insight into many of the activities we are engaged in. 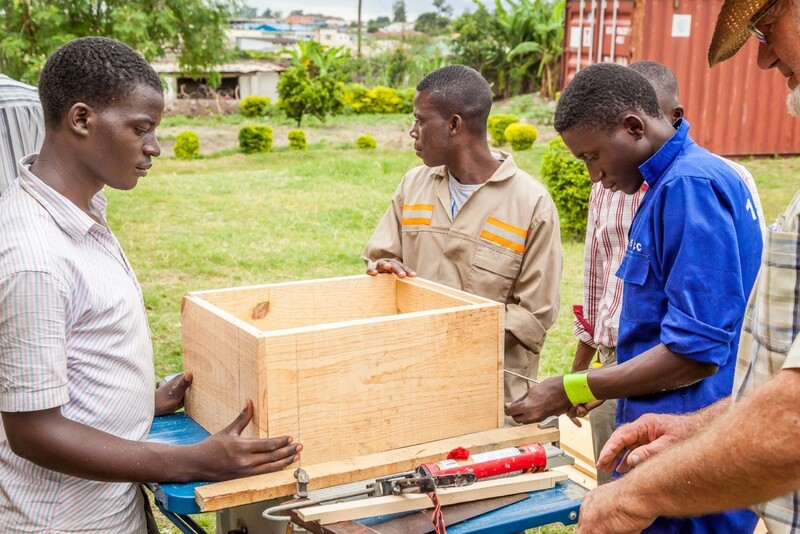 Pictured below: Students making bee hives at the Skills Training Centre. It is at this time of year that Faith and the Canadian Board finalize the FOF budget for next year. We are well on our way in this process and note that in 2018, there will be 4113 orphans in the 24 rural centres registered on the FOF program. There are 100 FOF implementers living in these Centres overseeing the orphan care and education while advancing the quality of life of the entire Centre. 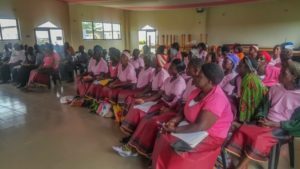 There will be 40 young men and women living and learning life skills at the Skills Training Centre in Kitwe, with 4 of these attending the public Teachers Training College and once again, there will be 100 teenagers attending the five week Teen’s Missions Leadership Training program outside of Ndola. This truly is a significant ministry! As we contemplate all of this ministry activity for 2018 and review the costs associated with it, we know that we need the Lord to bless FOF generously through His people once again. We are asking that you prayerfully consider a Christmas or year-end donation to Faith’s Orphans Fund to allow this impactful ministry to continue in the New Year and, with the Lord’s blessing for another 25 years. All donations qualify for a Canadian charitable tax receipts.